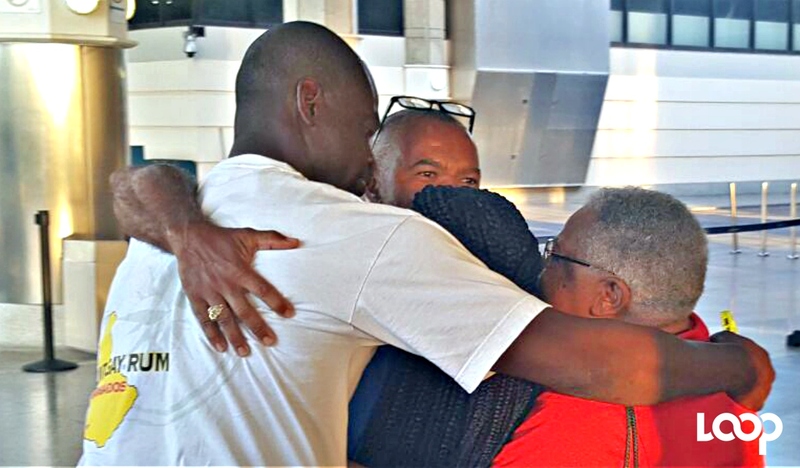 John Whitney, one of the 12 who were returned home this evening, being embraced by his family. 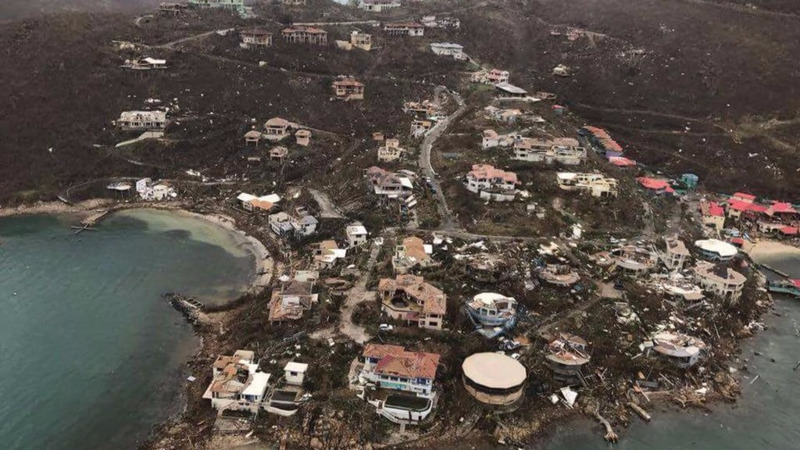 Barbadian citizens and residents who returned home today from hurricane ravished Tortula in the British Virgin Islands are urging all others who are still stranded abroad to pressure the officials and military at the airport. This is the advice of Lois Oliver, who saw her sister Sheena Bancroft today for the first time in some eight months. Asked if working with the Barbados Ministry of Foreign Affairs was difficult since some people are complaining about emails not sending or bouncing back, she shared, "It was not challenging. Embraced by her family and wiping away tears, Bancroft revealed that she hasn’t slept more than eight hours since last Tuesday. Hurricane Irma moved across Tortola, Wednesday, September 6, 2017. Turning to Marva Moffie, one of the 12 who came home on a Royal Air Force jet with the British Military this evening, Bancroft said she [Moffie] started the outreach to get home and Bancroft’s family ended it. 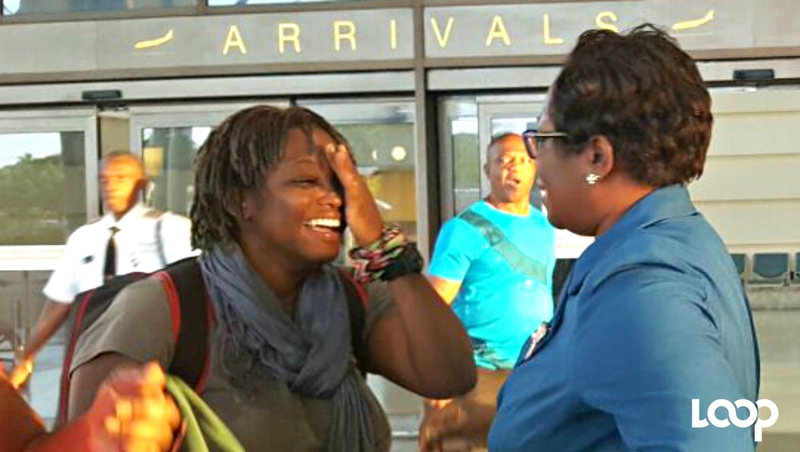 Like her sister, Bancroft told persons in need of dire help to push their way back home at Tortola's airport. Moffie advised persons to seek out British Military especially. Stranded persons are being encouraged to be determined. “Make it work. Stay together. If you can find people that you can stick together with, sometimes people need that little shoulder so that they can be strong, find somebody you can hook on to," advised Bancroft. The twelve were scheduled to return to Barbados yesterday, Tuesday, September 12, but because of some red tape issues they were put on standby according the group. But telling persons not be discouraged or disheartened when hiccups happen, because there are persons who are willing to help even in those low moments, was Barbadian resident Glenna Smith. 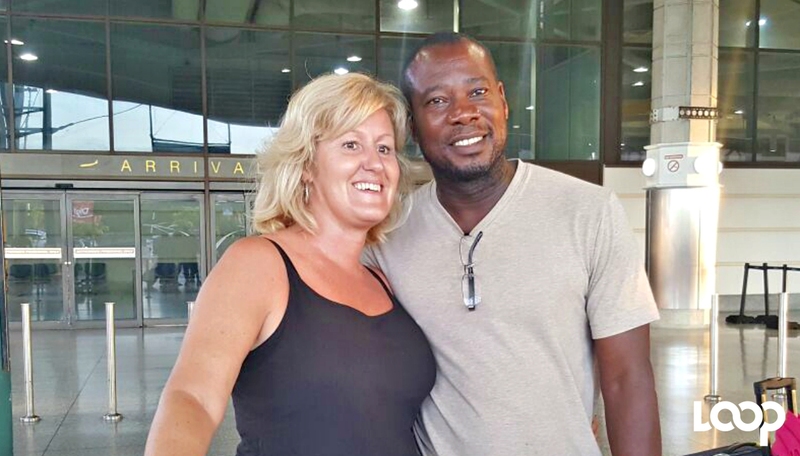 Visiting the island along with her husband Barbadian Romeo Addison, Smith said that on top of everything, a Good Tortola Samaritan helped them all get home finally in the last stages. “Late afternoon yesterday we were told that we are on a military evacuation and we were to hold in a certain area and there was a gentleman from the Barbados military and he kept coming back and checking on us and then finally he came back and got our passports around 7:00 pm, and at 7:30 pm we were told that we can’t get on the plane because they hadn’t gotten approval through the Barbados government in time,” she said holding back tears. But luckily, she said that when the 12 of them were upset by the news, a local policeman stepped up and offered to put up all 12 persons and then he returned them to the airport this morning.